Looking for a great participation award for your youth basketball league? If so, our Clear Female Jump-Shot Basketball Trophies are perfect for you! They feature a clear woman basketball player posed in an action jump shot on a black piano-finish base. 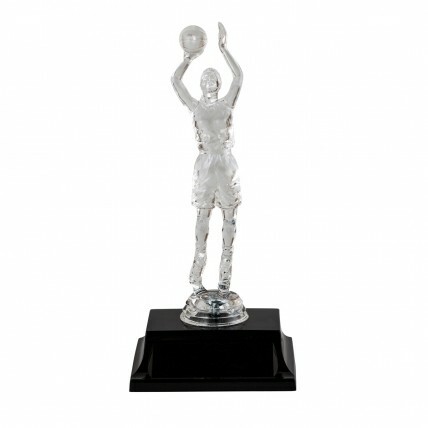 A great value for the price, these trophies stand 7-1/2" tall with three lines of engraving included for FREE!